The penetration of smartphones in the population is increasing in leaps and bounds. Phones are getting cheaper, and the internet is becoming faster. More people now depend on their phones for most of their daily activities. Gone are the days when you had to depend on your laptop to shop or send money. This trend towards using smartphones for everything has mobile app developers happy. People are using more mobile apps for many things. Whether it is shopping, getting a service or booking a show, you have apps for everything. 2019 promises to be the year of mobile app developers. New technologies and people’s need should see the launch of more apps. The first advantage of any mobile app is its ease of use. You can use it wherever you are. Everyone has their smartphones with them. There are mobile apps for many conveniences in life. Good internet speeds help in using the apps anywhere. Nowadays there are more activities online compare to offline. Mobile apps are a way of giving users a more personalized experience. Estimates say that most people spend 80-90% of their time on their mobile phones on mobile apps. It should say something about how helpful they are. So, why mobile apps are favorite? Mobile apps are made for the small screens of the phones and fit them better. For establishment apps, it’s easy to share updates and send reminders. They provide better scope for personalization. Many apps can do their work without an internet connection. It should be a golden period for mobile app developers. People depend on mobile apps for more and more uses. Using mobile devices are more convenient. It has made people move away from laptops and desktops. Modern technology helps mobile app developers to develop apps for more uses. Technologies like AR and VR are coming into mobile app development. The spread of 5G will certainly help apps to become more efficient. Other technologies that will help develop mobile apps are AI and machine learning. Both of these are in their early stages of development. Location sensing will help in a big way for delivering accurate information. Smart homes are no more a thing of fantasy. Internet of things will be used extensively in mobile app development. There will be an increase in the use of wearable devices which need mobile apps. AI will help app development and solving issues in a big way. Increased use of AR and VR will help in the growth of mobile app development. Increased use of mobile for payments will need more mobile apps. The increased use of instant apps is another driver for mobile app growth. Developing a mobile app for your business is good. It will certainly help in giving a better experience to your customers. But it has its pros and cons. There are more features which customers can use to have better experience. It can help the customers to take a photo with the product. That is a better advertisement for your business. It promises a better experience. It will prompt customers to download the app and register their name. It will help in generating leads for your marketing. You can get more revenue through the app itself. You can allow the advertisement of non-competitive products. Linking with social media helps to spread your brand. Customers can post their reviews about your product easily on social media. Developing a mobile app is expensive. It is more costly than creating a website. It needs different people to do it. Developers may need to develop separate apps for different mobile platforms. Hybrid apps may not offer the same performance as native apps. You should update mobile apps regularly. You should solve the security issues when needed. You will need to promote the app for older customers to know about it. You should let the public know about your app if you plan to improve business through it. People don’t entirely trust the security offered. They fear that their data might go to the wrong hands. It may be difficult to get the data you want. 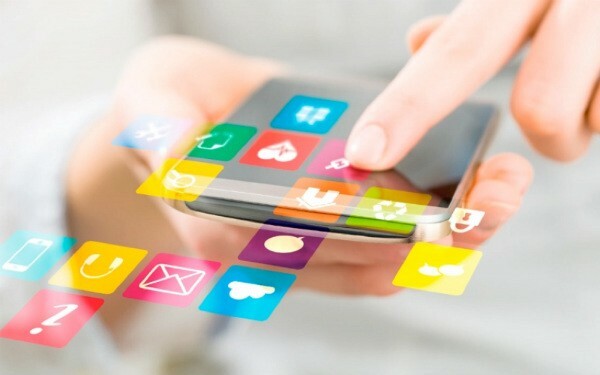 More businesses turn to mobile apps despite the above disadvantages. It is good news for app developers. There is much demand for apps. There is an improvement in technology. It could make 2019 a golden year for mobile app developers. If you also want to develop a customized mobile app for your business, then you should Hire Someone To Make An App for You from a reputed firm. He/She should be able to guide you on this subject. New mobile apps appear almost every day. But there are certain areas where there is a possibility for more apps development. No one has explored these segments fully until now. The technologies are in the developing stage. This year could see big leaps in these areas. Let us see where there is more scope for development. It is one of the technologies that will gain much importance in the future. Nobody wants to wait for a long time for your mobile page to load. That’s why many Mobile App Development Company is working on this aspect. Mobile is all about speed than about design. Responsive Web Design gives an equally enjoyable experience in all devices. But AMP is only about speed. It is about bringing instant rendering to web content. You can add AMP can be added on any existing website. It will load the page faster. It is more suited for static pages than dynamic ones. Online businesses have many advantages to using this feature. They get better page rankings, Ad visibility, and better click-through-rates. Mobile users will love this for the speed. They are not interested in heavyweight pages. These two words have been doing the rounds for quite some time. It is a technology that is growing at high speed. Any developer who is not including AI is going to be left out. AI has developed much. Mobiles can understand many commands. Various mobile companies are using AI in their camera apps. Android Pie 9.0 uses this technology for optimizing battery performance. The Adaptive Batter feature adjusts various things like screen brightness. Machine learning is here to stay. More businesses are using chatbots for better communication with customers. Google Assistant makes our life much more comfortable. It is already something that has gained immense popularity. The one area they dominate is in fitness. Almost everyone has a wearable fitness tracker. Smartwatches have become very popular too. They serve many purposes, and people find them convenient. The market is set to soar to around 245 million units this year. Smartphones control all wearables. It means there is enormous scope for mobile app developers. Smartwatches are expected to contribute to the increase in sales mainly. Fitness trackers will continue to have a good market. Apart from watches and fitness trackers, other uses are soon to follow. Zomato and Uber are spending a lot on wearables. These are both already popular in the game’s arena. But these are expected to be used in various other fields. They will spread to health, engineering, real estate, and retail. Customers can send photos or videos of their house. You can send them back an image of how it will look after interior decoration. It will be of great use in advertisements. You can use VR for different industries. Medical education is already using it to show how the human body looks from inside. Astronauts try out simulated space living. It can even extend to fashion and accessory industries. People can first check how they look, before actually purchasing their product. VR can help perform complicated surgeries. We have already moved a lot from cards to mobile wallets. These are comfortable & safe ways for a transaction. Many businesses have integrated mobile wallets into their apps. As the use increases, there is more scope for mobile wallet apps. These must include many methods of payment gateways. They can consist of credit or debit cards, wallets, gift cards, etc. The future is bright for mobile wallet apps. More and more businesses will include this in their apps. In the next four years, total global mobile payments are expected to touch $1200 billion. Banks and commercial establishments give incentives to customers using their mobile payment apps. It is already there and expected to see a massive rise in the coming years. It is cheaper; it is faster and streamlines business operations. You are free to look at your data from anywhere. Cloud integration of mobile apps can give users a better experience. The storage is expandable. Apps will be faster and provide a seamless experience for the users. Cloud technology has improved the security of many apps. It is another big advantage. Features of many apps are now stored in on the cloud. Instant apps are a prominent example of using cloud technology. Developers have to include this in future developments. More people are seeking cloud storage. More people want these. They are easy to use. Their small use makes them faster. They offer better performance. There is no need to download the app. You can open them on the web. It saves a lot of mobile space. These will be the trend of the future. People are looking for faster loading. Google introduced them in 2016. Even without downloading you can share these apps. Many businesses are already using such instant apps. What was thought to be a non-starter is today one of the most popular app group. Everyone uses on-demand apps for various purposes. Businesses like Zomato have gained much popularity. People can order anything with these apps. The popularity of these apps is expected to rise. With improved user experience, more people will use these apps. Businesses are also incorporating mCommerce facilities in these apps. There is a bright future for on-demand apps. It is nothing new. Everyone has been demanding this. Developers will be forced to work more on this. There is a fear of leakage of personal data. With Uber’s admission of loss of data, this has gained more importance. There are many questions in the minds of people. They have started to think about whether they should pass on all the information. Developers should look seriously into this matter. If they want to be successful app developers, they need to invest in improved security. People will only download secure apps. Smart homes and objects are gaining popularity now. The underlying technology is called the Internet of Things. Objects connect and exchange information without human interference. All these smart objects have software embedded in them. The software is an app that can be developed by the mobile app developer. The future is bright for the use of this technology. People are seeking to control many physical objects with this technology. Lights, speakers, etc. can be controlled using this. The mobile phone will manage all the aspects. Mobile apps will inevitably overtake the use of web applications. They are easy to use anywhere. Apart from that, other mobile applications will gain importance. Use of Beacon technology will become more popular. The in-app search will be extended to iOS soon. AI and machine learning will have more influence on app development. As mobile payments become popular cryptocurrencies can come into the picture. Blockchain technology could also help in future transactions. AR and VR will have a significant presence in the healthcare industry. Wearables will become more popular. It looks like web app developers won’t have time to rest soon. AI will find more important as all businesses include chatbots. Use of mobile payments will increase making carrying of cash not necessary. More cloud integration will require speed and seamless experience. Developers must concentrate on mobile app security to prevent leak of personal data. Nowadays, there is a massive demand for mobile applications in the IT market. A lot of companies are looking to invest a significant portion of their budget in developing an enterprise level mobile app. Taking this scenario into perspective, we have tried to provide you with an in-depth Mobile App Development trends for the year 2019. Recommended Reading for those who want to develop an app.